Spiral Water Slide is the most common water slide for water park. Architects from China Trend Water Park Construction Ltd. are well-qualified in arc path designing, with amusement experience and safety property. No mater indoor or outdoor, thrilling or calm, body slide or raft slide, open or tube slide, Trend Co. can always provide the corresponding water slide or water slide complex, water slide compound for clients. The height ranges from several meter to dozens meter. The common inner width is 0.8m, 1m, 1.3m, 1.8m, 2.3m or 3m. And the water slide can be customized, like body slide for children and adult, tube slide for 4 or 6 persons and family riding. 1.Professional engineers for erection guidance. 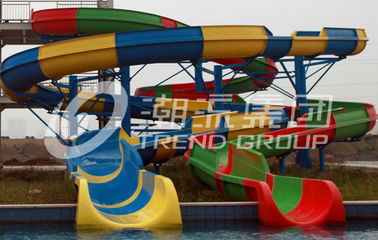 China Trend Waterpark Construction Ltd. 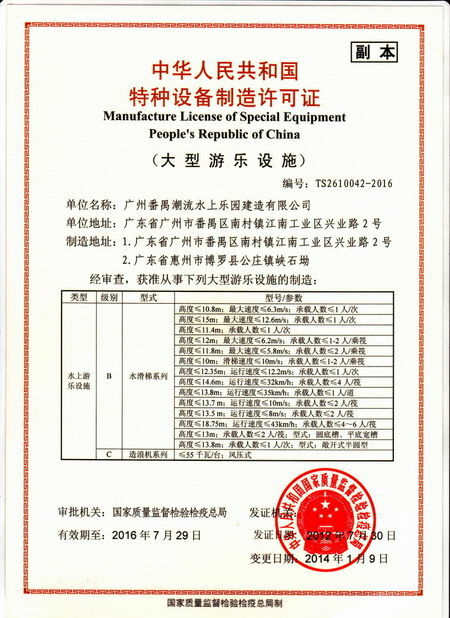 Founded in 1994, the top manufacturer in water play industry. Over 22 years water park equipment experience. 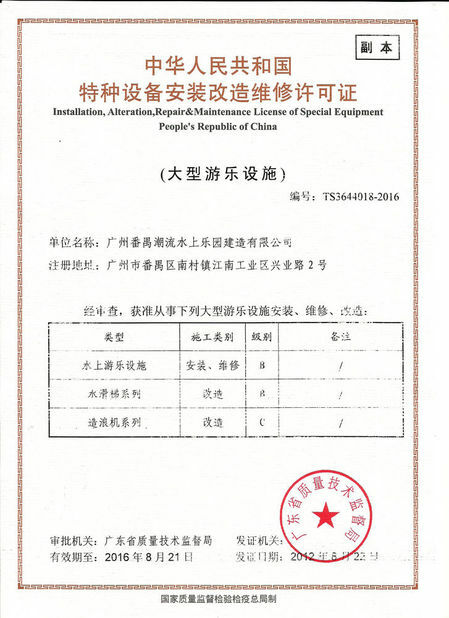 SGS, Rohs, China Special Equipment License etc. quality certificates. China Theme park Association member. Independent R & D department, laboratory, manufactory base. If you are interested in our product, please contact us directly for details.